Politics are on a lot of people’s minds right now. And I’m sure all Christians are hoping and praying someone will be elected president who will exemplify and promote biblical values and morality. 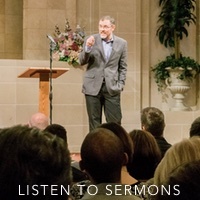 But in the midst of this political season, there is a danger against which Christians must diligently guard; and that is, thinking our “blessedness” depends on who is elected president. The last part never seems to get quoted, but it helps us to understand this passage is talking about the blessedness of being God’s chosen people. Blessed means “happy.” And in the context of the Old Testament, it was talking about Israel being God’s chosen people, and how happy they could be because that was true. As Christians, when we make application of this passage, we MUST apply it to the church, not to the United States. The church is God’s New Testament people. The church is the “nation whose God is the Lord.” The church is “the people whom God has chosen as His heritage” (see also 1 Peter 2:9-10). But if we were to read, interpret, and properly apply the rest of Psalm 33, it would be a great blessing to us (especially in this political season). It should make us feel less anxious and less worried, rather than the other way around. First, the psalmist commanded praise be given to God because, “By the word of the Lord the heavens were made, and by the breath of his mouth all their host” (Psalm 33:6). Consequently, all people should fear Him and stand in awe of Him (vs. 8). Then the psalmist wrote, “The Lord brings the counsel of the nations to nothing; he frustrates the plans of the peoples” (Psalm 33:10). In other words, no matter how powerful a nation, they are nothing before God. No plan can succeed, unless the Lord allows it. The psalmist reminds Israel that the great army of a king, the strength of a mighty warrior, and even the powerful war horse are all false hopes (Psalm 33:13-17). The message is clear, don’t put your trust in these things and do not fear them. No matter who is in the White House, my hope is in the Lord. If the economy crashes, my hope is in the Lord. If the United States of America ceases to exist, my hope is in the Lord. My blessedness does not depend on these things. No matter what happens to the United States, I’m still part of “the nation whose God is the Lord” because my citizenship is in heaven (Philippians 3:20). 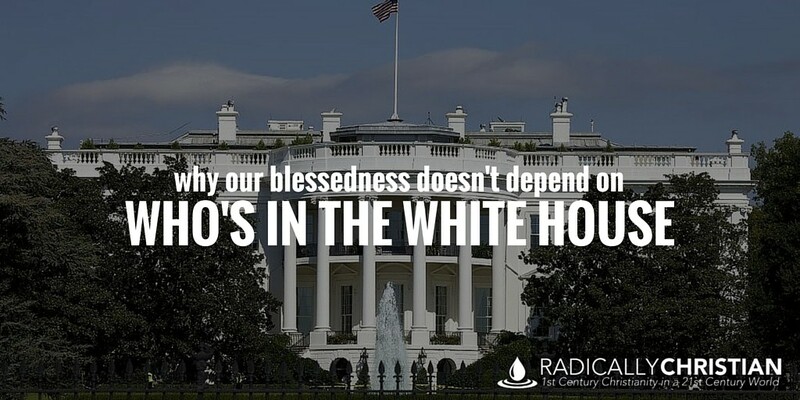 When we, as Christians, think our blessedness depends on who is in the White House, we forfeit the happiness that comes from being children of God. If first-century Christians could know the happiness of being in Christ while Nero was emperor, then you and I can know the happiness of being in Christ while Obama is in the White House (and whoever comes next). Christians in the United States are exiles in a land that is much like Babylon in many ways. We ought to seek the welfare of our nation. We ought to pray to the Lord on its behalf (see also 1 Timothy 2:1-2). We ought to vote for good leaders, promote biblical morality, and do our duty to serve and protect the nation. But let’s remember, the things of this nation are not our hope or source of blessedness. Our military, economy, president, Congress, Supreme Court, etc. are not our hope. They are not the source of our blessedness, whether they are good or bad. Father, we pray for our current president, our future president, and for all who are in high positions, that we may lead a peaceful and quiet life, godly and dignified in every way. And during our time of exile in the United States, our soul waits for You, Lord; You our help and our shield. For our heart is glad in You, because we trust in Your holy name. Let your steadfast love, O Lord, be upon us, even as we hope in You.